Westlake Golf and Country Club, located in Jackson, is a gated active adult community that offers country club living to those 55 and older. With its 18-hole championship golf course and amenity-rich clubhouse, this beautiful community provides plenty of activities that support a healthy, active lifestyle in a lovely setting. In addition to the on-site amenities, Westlake Golf and Country Club offers a prime location that is close to a variety of entertainment venues. The surrounding area includes a variety of shopping centers and restaurants. There is also close proximity to popular destinations including the Monmouth and Freehold Racetracks, Atlantic City, Philadelphia, and New York City. The activities at Westlake Golf and Country Club are centered around the 30,000 square-foot clubhouse and the 18-hole, par-71 Westlake Golf Course. This championship course was designed by award winning architect Arthur Hills and Associates. Golf enthusiasts will appreciate the course s challenging design which spans nearly 6,500 yards from the longest tees. Westlake Golf and Country Club s spacious clubhouse offers a wide selection of amenities designed to support an active adult lifestyle. The large, state-of-the-art fitness center includes a variety of exercise equipment. When not golfing, residents can play a game of tennis, or make use of the community s various sports courts, which include bocce ball, volleyball and shuffleboard courts. There are also both indoor and outdoor swimming pools. Indoors, Westlake s clubhouse also features additional amenities. Residents can express their creativity in the arts and crafts studio, visit the library, or play a game of cards or billiards. In addition, residents can enjoy a delicious meal in the upscale restaurant. With so many activities, residents can always find plenty to do, and a full-time activities director is also on hand to help residents make the most of life at Westlake Golf and Country Club. Over 1,400 single-family homes were built throughout Westlake Golf and Country Club between 1999 and 2006. These beautiful homes include both single-level ranch homes and those with second-story lofts. With a variety of floor plans and additional options, Westlake s homes range in size from 1,800 to 3,500 square feet. Most homes have two to three bedrooms, two to three bathrooms and a two-car garage. Set in an exclusive, resort-style community, the homes at Westlake Golf and Country Club feature many luxurious upgrades. Though the features vary from one home to the next, popular upgrades found throughout the community include high ceilings, granite countertops, gourmet kitchens, hardwood floors, added sunrooms, and much more. This versatility has allowed residents to find an ideal home that meets their own personal needs and desires. Westlake Golf and Country Club welcomes active adults aged 55 or better. This resort-style community offers country club living in a beautifully landscaped setting. As one of the largest active adult communities in South New Jersey, Westlake boasts plenty of on-site amenities and activities to meet the needs of each resident. In addition to the amenities offered at the spacious Westlake clubhouse, the community also provides residents with a full social calendar. Special interest groups and social clubs meet regularly, giving residents ample opportunities to meet their neighbors or try something new. Just a few of Westlake s popular special interest clubs include those devoted to bird watching, gardening, dancing, water color painting, bowling, computers, and wine tasting. Set in Jackson, Westlake Golf and Country Club enjoys a prime location with nearly endless entertainment possibilities. Shopping and dining is plentiful with a variety of nearby malls and shopping centers. Both the Freehold Mall and the Jackson Outlets are approximately 15 minutes away. For those who like to play the ponies, or just take in a race, the Monmouth and Freehold Racetracks are about 30 minutes away, as are the many entertainment venues in Trenton, Camden and Holmdel. Convenient access to Route 195 makes it easy to travel throughout the surrounding area. Only an hour away, both New York City and Philadelphia are ideal destinations for day or weekend trips. The glittering strip at Atlantic City is another popular excursion, and the beaches of the Jersey Shore are less than one hour away. 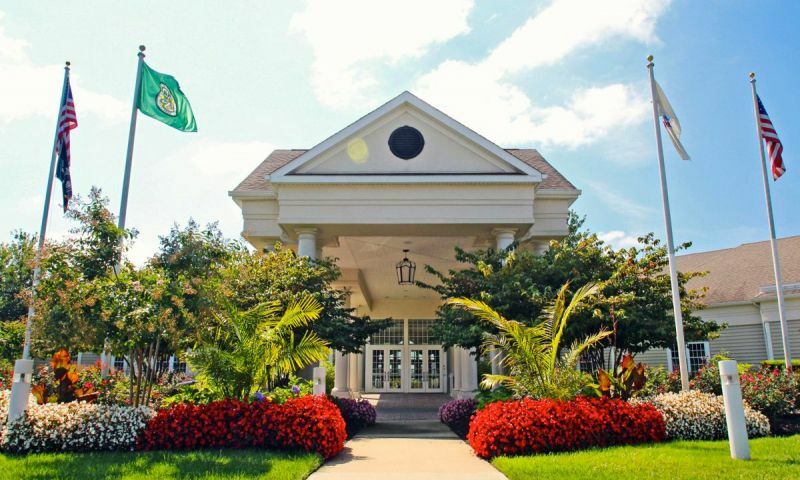 Westlake Golf and Country Club is an ideal active adult community n Ocean County with desirable homes, top-notch amenities, golf and a prime location. Clubhouse - 30,000 Sq. Ft. There are plenty of activities available in Westlake Golf and Country Club. Here is a sample of some of the clubs, activities and classes offered here. These beautiful homes include both single-level ranch homes and those with second-story lofts. With a variety of floor plans and additional options, Westlakes homes range in size from 1,800 to 3,500 square feet. Set in an exclusive, resort-style community, the homes at Westlake Golf and Country Club feature many luxurious upgrades. Though the features vary from one home to the next, popular upgrades found throughout the community include high ceilings, granite countertops, gourmet kitchens, hardwood floors, added sunrooms, and much more. This versatility has allowed residents to find an ideal home that meets their own personal needs and desires. Please Note: Not all floor plans are available at this time. Beautiful homes. You can be as active or inactive as you choose to be. One thing that is missing from the reviews is friendly. That is one thing to consider when reviewing the reviews here compared to the reviews from some other communities. We did a lot of research before buying here and the home was move in ready compared to some other communities nearby we found. Living here 3 years now and not active at all. It's 55+ High School behavior. We invested a lot to make our home happy but would likely be more happy in a more friendly environment. We are not alone. Many neighbors we meet never go to the clubhouse or engage in club activity for some of the same reasons as us. The clubhouse has a great view of the patio/pool area. Updated and well-maintained, the community is perfect. Golf course is fun, but challenging. Westlake is gorgeous! This gated community is so well maintained the clubhouse as well as many homes have a nice view of the sprawling golf course. My husband and I recently moved full time to Florida. We lived in Westlake for 12 years and loved it! The amenities are wonderful and there is so much to do. I love living here. There is always something to do at the clubhouse. Clubhouse is open late every evening. There are tons to activities including golf, tennis, boccie, indoor pool, outdoor pool which is heated, card games, a frequent bus to Atlantic City, frequent bus trips to places that are worth going to (9-11 site), MahJong class, Watercolor class, Line Dancing, a gym, library, Brandeis, Women's Club, Men's Club, Wine Club, Italian American Club, Yiddish Club, Wags, Singles Club, Book Club. I love my house and the grounds are beautiful. Because of the golf course, there is a restaurant with a well known chef. Houses were built by two quality builders (Toll Bros. and U.S. Homes). You can be as active or inactive as you choose. And the entertainment is good! Been here for 5 years and love it. The golf is outstanding, great clubhouse, gated community and the houses are high-end. 55places.com is not affiliated with the developer(s) or homeowners association of Westlake Golf and Country Club. The information you submit is distributed to a 55places.com Partner Agent, who is a licensed real estate agent. The information regarding Westlake Golf and Country Club has not been verified or approved by the developer or homeowners association. Please verify all information prior to purchasing. 55places.com is not responsible for any errors regarding the information displayed on this website.